Infinity is an open-ended game in which you control a spaceship throughought the entire galaxy, trying to make a name for yourself. You connect to an online server on which thousands of people are playing, 24/7. The game does not stop when you log off, but continues to evolve: it is a persistent universe. The game mechanics do not emphasize any particular gameplay style. Combat, trade, exploration, social relationships.. you are free to choose your own carrier path and goals. The only limit is your own imagination! Infinity is not a traditional role playing game. Although all players are expected to act in concordance with their avatar's motivations, there are no classes or skills to restrict your choices. Combat between spaceships is in true real-time, and the outcome is determined by your own intelligence and reflexes. Forget turn-based action and experience the great excitement of a first person experience! Using procedural techniques, the game universe has been designed to be huge and realistic. There are billions of solar systems and planets, each unique and awaiting to be discovered by a player. Coherent scales and distances are used, orbits of celestial bodies are correctly modeled and change continuously, allowing you to attend a sunrise on the moon of a giant planet, for instance. 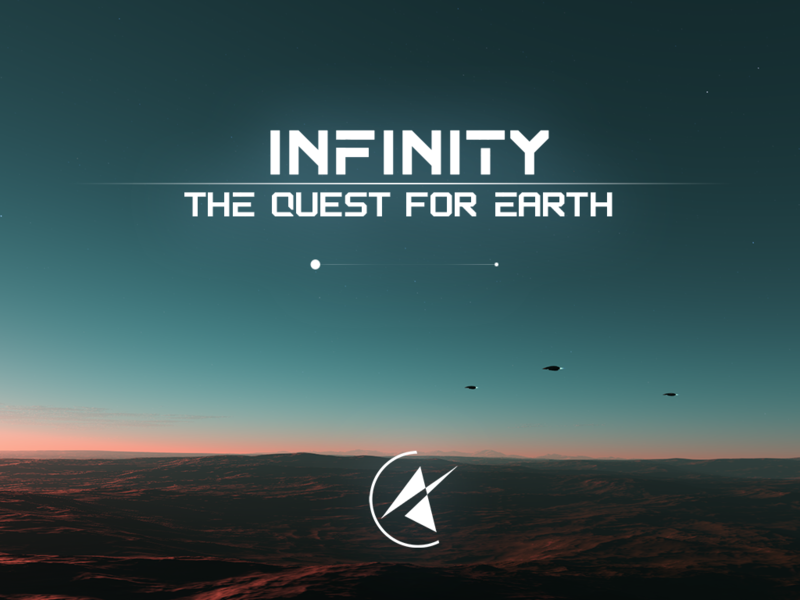 We’ve decided not to build Infinity: The Quest for Earth as our first title using the I-Novae engine. The original idea was to create an MMO sandbox galaxy filled with billions of stars, planets, and three richly developed playable factions. While this is still the game we want to create Infinity:TQFE would take significant development time and resources that we currently do not have. The idea behind Infinity: Battlescape is to allow us to acquire the resources we need to reach our ultimate goal - building Infinity:TQFE. So, instead of tackling the MMO, our first title “Infinity: Battlescape,” will take place in a single solar system within the Infinity Universe. It will include planets, moons, asteroids, and multiple ringed gas giants each with their own moons. The gameplay will center around the conflict between 2 - 3 warring corporations in a struggle for control of the system. You can find out more about “Infinity: Battlescape” on our dedicated IndieDB page for the project. Below are some of the common questions we get regarding Battlescape when Infinity:TQFE is brought up. What does this mean for Infinity: The Quest for Earth? The MMO will be put on hold for the time being while we continue to develop both the I-Novae engine and Infinity: Battlescape. Since Battlescape takes place in the Infinity universe any work done will ultimately contribute to the future MMO. Why are you producing Infinity: Battlescape First? It’s a matter of development and studio growth. We want to tackle a small project first, one that can challenge the I-Novae engine at a controlled and manageable scale. We also want to establish our art production pipelines, core story, faction designs and back-end account management in advance of the larger MMO. 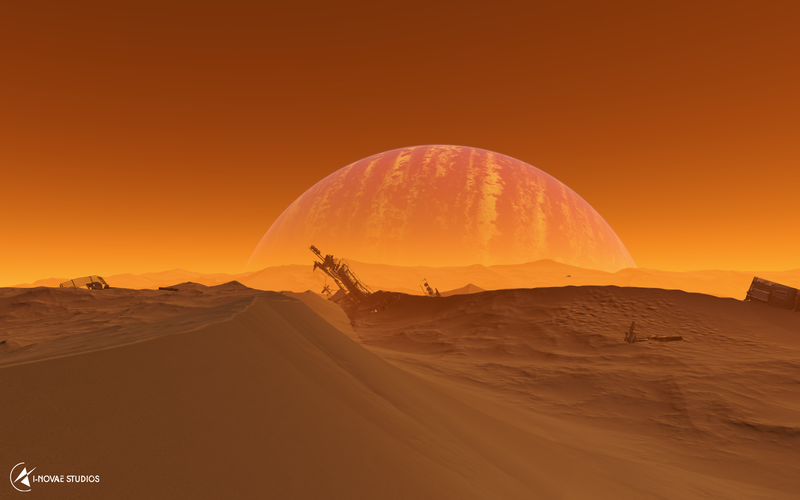 Will you have procedural planets, what about gas giants? Of course we will, procedural planets are what make the I-Novae engine unique! We’ll be providing players with a breathtaking gameplay experience involving large scale combat spanning an entire solar system from planet surfaces to interplanetary space. This includes gas giants, although you probably wouldn’t want to try landing on one. Will Battlescape be purely combat? That will depend on what funding tier we reach. We’d like to include an array of different gameplay mechanics that will enrich the experience for a broader range of play styles. We also want to be able to deliver the game on schedule, and that means establishing realistic feature sets within a reasonable production timeline. We do, however, intend on providing players with an exploration mode and solo mode where one can explore the planets and moons without the need for combat play. Lastly we want to make modding tools available so that users can create their own fun and interesting mods for the game. ASEToBin 1.0 release and more! 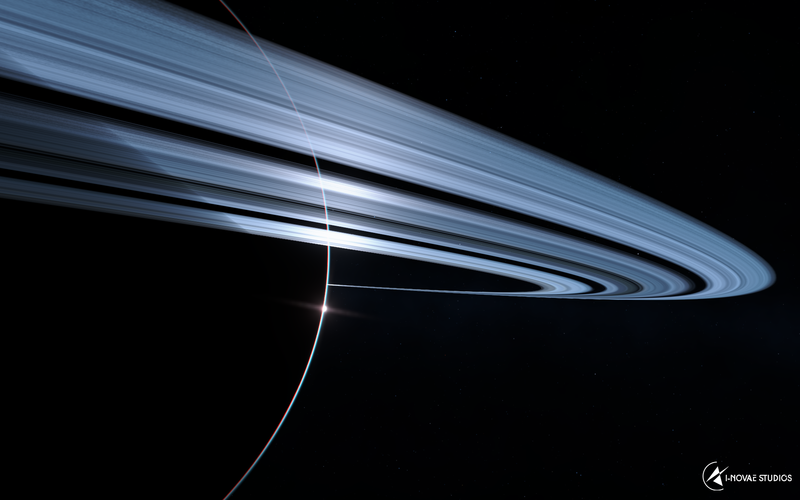 Terrain, physics, rings and motion blur. A short video made in the AseToBin showing off the Silverbow(spaceship) in all its glory and a nice rain effect. This is a new working version of the Infinity combat prototype version 2.1. Apologies to all of those that downloaded the corrupt file. I've been waiting for this game for 10 years. Not even in a thousand years of progress computers will be able to simulate billion stars in a game , besides you have to live forever to explore them all even if you do simulate them at one point say year 7015 A.D. This is where Star Citizen takes over. With a $100+ million budget, RSI is doing what I-Novae dreams of. Plus it is being designed with three modes: MMO, host your own server, and single player. No the idea isn't too far ahead. Look at the game No Man's Sky. They are launching their Kickstarter for Infinity:Battlescape on the 21st!!! I forgot it even existed until "https://forums.inovaestudios.com/t/i-novae-feeds-to-follow-news-outlets-etc/428"
Keep it up and above everything, keep it realistic. With this game born, if it's realistic enough, all the silly / unrealistic / childish gameplay industry will fall for good. I'm a huge simulator, combat, realistic action, (and as sciences) space / astronomy and physics fan and i have many ideas for this game - hit me up if you want me to share them. i know this its old and all but the childish unrealistic, and silly gameplay types will prevail, mainly because of it sillyness and unrealistic easyness to play.